The undisputed kings of Kerry and Galway finally meet on the biggest stage. Having won three of the last four between them, it was almost inevitable these two teams would clash at some stage, and it happens this St Patrick's Day for the All Ireland Senior Club Football Championship decider at Croke Park (3.45pm ). Being part of All-Ireland final is what club players dream of, and on Sunday both clubs have made this journey before - Corofin having won on three occasions, most recently last season, while Dr Crokes' second of their two titles came just the year before. Corofin will be looking to become the fourth ever club to retain their All-Ireland club football title- UCD, St Finbarr's and Crossmaglen (twice ) having done it previously, while it would also be their fourth Andy Merrigan Cup win, the first coming in 1998. But the last time Sunday's finalists met was in the Gaelic Grounds in Limerick in the semi-final of 2017 when Crokes outplayed their opponents in every department. They hit the ground running, and when Corofin believed they had stemmed the tide, Crokes then hit them with a goal sucker punch just before half time to kill off the game. Since then both teams have continued to develop, but Corofin, no matter how hard they try, are still haunted by that defeat. 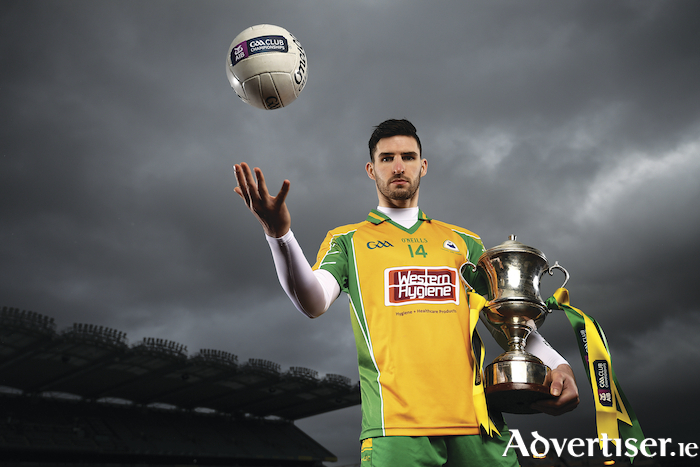 And with the added incentive of being part of a select group to have won the club championship in consecutive years, Corofin will be fired up to banish the demons from 2017 and gain revenge for that nine-point loss. However, Corofin’s Jason Leonard says the players are all about this season. "Revenge was never a word mentioned in our set up," he says. "This year more than any other year, we have taken it game by game and we happen to find ourselves at game 12 which just happens to be Dr Crokes." With few egos, Corofin possess a clear group mentality. Kevin O’Brien, David Morris and Steven Rochford before them have led Corofin to an unprecedented level of dominance in Galway and Connacht club football over the last six years with only three losses in the championship since 2013, two Connacht final losses to Castlebar Mitchells in ’13 and ’15, along with the loss to Crokes in ’17. With both sets of forwards being capable of scoring from all angles, the restarts are going to be hugely important on Sunday. This leaves Corofin’s Bernard Power and Dr Crokes’ Shane Murphy under immense pressure as any misplaced kickout has a strong chance of being a score for the opposition. Having had his red card from the semi final win against Mullinalaghta overturned, Crokes’ hugely influential Johnny Buckley will be hoping to win another Andy Merrigan title for his club. With himself and Corofin’s Ronan Steede the playmakers for each club, both sides will be eager to press hard to ensure both players have minimal time on the ball. This match is one that will have the neutrals delighted and should draw a large crowd to the Jones’ Road venue. Two teams that revel in positive football will have a shoot out to see who will be crowned best in the land and bring the Andy Merrigan Cup back to their parish once again. The senior club football championship final will be preceded by the senior club hurling decider with Kilkenny aristocrats Ballyhale Shamrocks taking on Galway's St Thomas at 2pm. Both games will be broadcast on TG4.